Christians often have a very confused relationship with money. Many seek financial help due to indebtedness. Many more should. All Christians, however, should clarify their relationship with money in a proactive rather than reactive way. 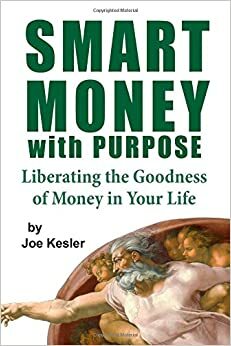 PCA elder and community bank CEO Joe Kesler has given us a book for that very purpose in Smart Money with Purpose: Liberating the Goodness of Money in Your Life. His book is for a broader audience instead of positioned for those struggling with debt. As a result, he helps all of us think through the many issues surrounding our relationship with money. It is set up with discussion questions at the end of each chapter to help you process not just the information but also your life. Kesler starts with the goodness of wealth, from God’s perspective. It is common for Christians to focus on the negative side of money. The Scriptures don’t condemn money, or wealth, but the love of money. Many of the significant figures of the Bible were rich, and enriched by God. It is God who gives us the power to create wealth (Deut. 8). One iof the benefits of the Reformation was setting the church free from the idolatry of poverty, calling people to spend and create wealth which helped spawn the industrial revolution which significantly increased the standard of living for the western world. In his second chapter he addresses the Deceitfulness of Money. It makes a good tool, but not a good master. Money as a source of security is a deceitful idol. Our greed and envy of others’ wealth is common fodder for politicians. Wealth is a product of many possibly factors. Not all who have accumulated wealth did it by exploitation or cheating. Acting like it can get you votes though. The answer the Kesler offers is that of stewardship- recognizing that God is in charge and gives us resources to take care of to accomplish His purposes and not just our own. The third chapter is pivotal: Putting the Power of Purpose in Your Financial Plan. He argues for gaining an understanding of God’s purpose for your life to drive your financial decisions. What you think you should be doing now and in the future should determine what you do with your money in the present. There is no one answer for this question. It is a question that many financial advisers ignore, or twist into a selfish purpose. As I read this I realized that most of a married couple’s fights about money and time are really a fight about mission. They either have no sense of mission to guide them, or they have conflicting missions that have not been reconciled or aligned. He provides some practical advice for career change and transitions. He then moves toward the heart in focusing on your history with money. We all have a standard operating procedure with regard to money that has been shaped by our personal histories. He references Brent Kessel’s 8 financial archetypes, and sends you to take a quiz to identify which fits you. This does not mean you are stuck there. He provides the positives of most archetypes, as well as the weaknesses that should be addressed. He then seeks to increase our money awareness: how much money flows through our lives and how to utilize that knowledge to make better financial decisions. From there he moves to the BIG financial decisions that take up most of the money that flows through our lives: homes, children, cars. Many couples don’t think about these decisions in light of God’s mission for them and the flow of money in their lives. They often receive counsel from those who benefit from their decisions: real estate agents, financial advisers etc. He then talks about building wealth which starts with debt. Some debt is good, or productive, because it is an investment in the future and our mission. Some debt is regrettable or unwise. This is largely, but not exclusively, consumer debt. It may make us feel better, in the short run, but eventually we see that we have squandered money we could have used better because it is not productive. Some debt is immoral. Borrowing from the Old Testament he notes that we should not charge the poor interest so they can survive. Interest free loans to have a business is a good thing for the poor. Loans for rent don’t really help anyone get ahead. He helps us to understand the types of debt so we can evaluate past decisions, make changes and make better future decisions. He then moves into investing, providing 9 habits for successful investing. What makes for successful investing for you may not make for successful investing for me. This is because our goals, experience, strengths etc are different. There is therefore, not one investment plan but these “habits” help us build a plan to invest. It is not about just debt and investing. Giving matters in the present and the future. He notes the three kinds of tithes from the Old Testament which should guide how we think about giving. One of them is for celebrating God’s goodness to us. Some of their giving was spent on a party- think Thanksgiving on steroids. We should celebrate God’s goodness to us. This “tithe” can be used for parties, vacations, treating others etc. The second was the tithe for the poor. It was 10% every 3rd year. God gives us money that should be used to care for the poor. We should give to our deacons’ funds at church, local ministries to the poor, sponsoring orphanages or children in under-developed countries etc. There is also the Levitical tithe which provided for the Levites, priests and the worship of the people. The OT instructs us on the type of giving that should find a place in our lives. The last chapter is on passing on an inheritance. He expands that to a spiritual inheritance. But he provides some helpful advice in thinking through the questions surrounding this issue. Kesler’s book is a very helpful book filled with wisdom for a variety of people. It would be a valuable tool for any deacon’s toolbox as he comes alongside members with financial issues. It would be helpful for financial advisers to provide a more holistic approach to helping customers. I think it is good enough to get copies for all our church officers.